There are many things I enjoy about a Walt Disney World vacation, but one of the best parts in my opinion is trying out all of the delicious restaurants on property. Did you know that more than 125 restaurants can be found across theme parks and resort hotel properties? With choices ranging from quick service sandwiches to fine dining with some of the best chefs in the nation, there truly is something for everyone. When my husband and I have the chance for some adult time on our vacation, we always enjoy trying out one of the signature dining locations. Our most recent trip to Walt Disney World was for the Wine & Dine Half Marathon weekend and we went sans kids. 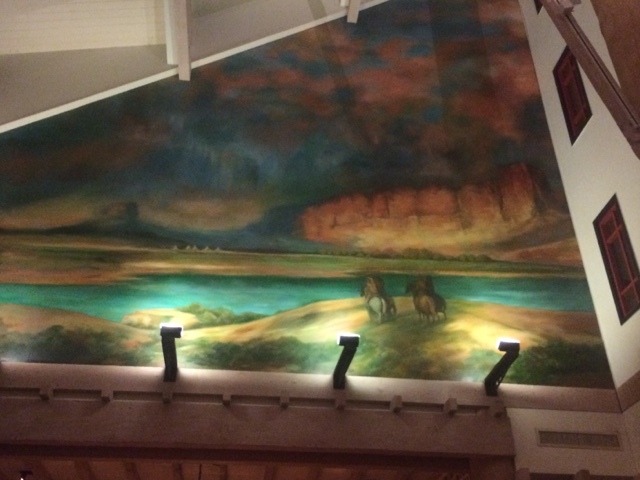 We visited Artist Point, located inside Disney's Wilderness Lodge, for a late dinner with another couple. I will give a little disclaimer before starting this review. We had a very long and unseasonably warm 13 hour day in the parks and had a 9PM dinner reservation. I think I was more tired than I was hungry which may have impacted some of my overall opinions of the experience. The location and decor of the restaurant were comfortable, but not as awe inspiring as some other signature restaurants. There were large windows overlooking the outdoor area of the hotel while the interior featured soft lighting and beautiful murals depicting life in the Pacific Northwest. It was a pretty restaurant, but didn't compare to California Grill's breathtaking views of Magic Kingdom and the Wishes fireworks show. Our waiter made a few recommendations for the table including the Smoked Portobello Bisque. The soup was smooth and tasty - it turned out to be my favorite item of the evening! 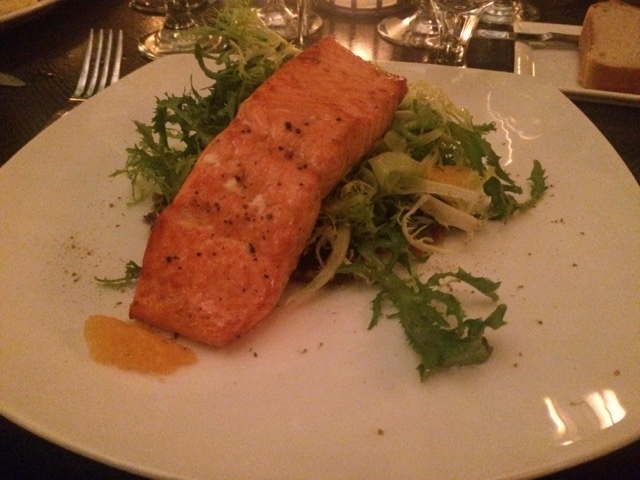 For my entree, I opted to go with the salmon. Maybe I was expecting to much of a "wow" dish since we were in a restaurant that should specialize in salmon, but I wasn't overly impressed. I felt like it lacked seasoning and flavor that could have really enhanced the dish. In my opinion, the winner of the entree category was the Aged Buffalo Strip Loin that my friend Craig ordered. When it came time for dessert, I was too tired to keep eating so I passed, but my husband ordered the fruit cobbler and our friends split the fresh donuts. Both looked tasty! 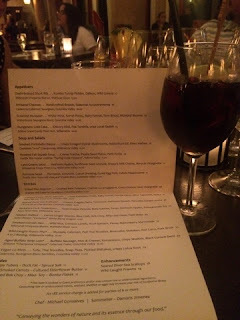 Throughout the meal, the restaurant staff was able to offer wine pairings that complemented each course - something very important for my husband! 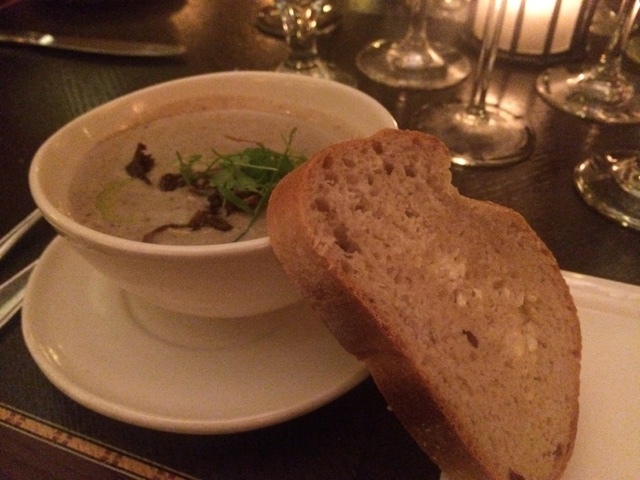 Smoked Portobello Bisque - YUMMY! A must try! Overall, I would go back to Artist Point again if I was staying at Wilderness Lodge, but I wouldn't go out of my way to resort hop to make it there. 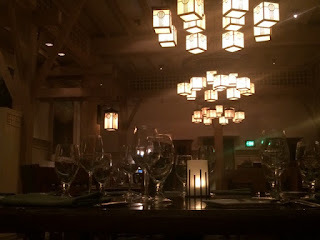 There are a number of other choices that are just as good or better to check out while in Walt Disney World that are also more convenient to the parks, such as California Grill or The Hollywood Brown Derby. What's your favorite signature dining experience in Walt Disney World?